We're living through an extraordinary time of exploration. A ﬂeet of space probes are continually beaming data back to Earth. Hidden in this stream of code are startling new discoveries about the worlds we share with the Sun. We will piece together these remarkable ﬁndings to tell the greatest science story of them all - the life and times of the Solar System. Professor Brian Cox, OBE is a particle physicist, a Royal Society research fellow, and a professor at the University of Manchester as well as researcher on one of the most ambitious experiments on Earth, the ATLAS experiment on the Large Hadron Collider in Switzerland. 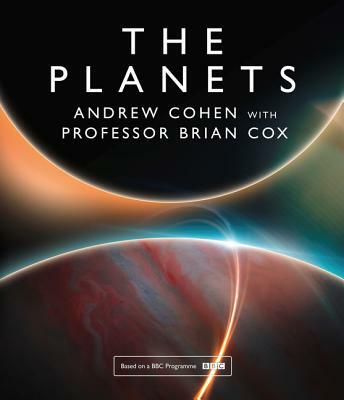 He is best known to the public as a science broadcaster and presenter of the popular BBC Wonders trilogy, Human Universe, Forces of Nature and Stargazing Live.Andrew Cohen is Head of the BBC Science Unit and the Executive Producer of the BBC series Planets. He has been responsible for a wide range of science documentaries, including the Wonders trilogy, Human Universe, Forces of Nature and Stargazing Live. He lives in London with his wife and three children.